It’s essential to keep accurate records of all things financial. There must never be any surprises or loose ends when it comes to the money you’re spending. Don’t use a basic checkbook and register like the one you use for personal checking. These are completely inadequate and will not do the job that you need. A more versatile computerized or manual system is needed. If you don’t already have either, there will be some expense involved, but it is well worth it. This is a manual system of business checking that automatically carbon copies the check information onto an expense journal as you write the check. 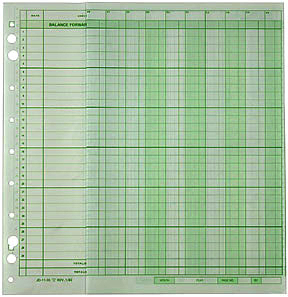 The sheet has columns with the different categories of expenses you incur. You can create any category you need. Then it’s as simple as copying the check amount into the appropriate column. I’ve used a one-write system even when building multiple houses. It’s simple, inexpensive, and it works.